There is so much to see in Mexico City that trying to condense the capital’s cultural highlights is a tough task — but it’s a necessary one. CDMX has some of the coolest museums in the world, and Centro Histórico alone is filled with ancient Aztec ruins and perfectly-preserved colonial architecture. If you’re overwhelmed by the sheer number of cultural delights throughout the city — have no idea where to get the best souvenir — these are the must-see places to get started on your exploration of Mexican culture. 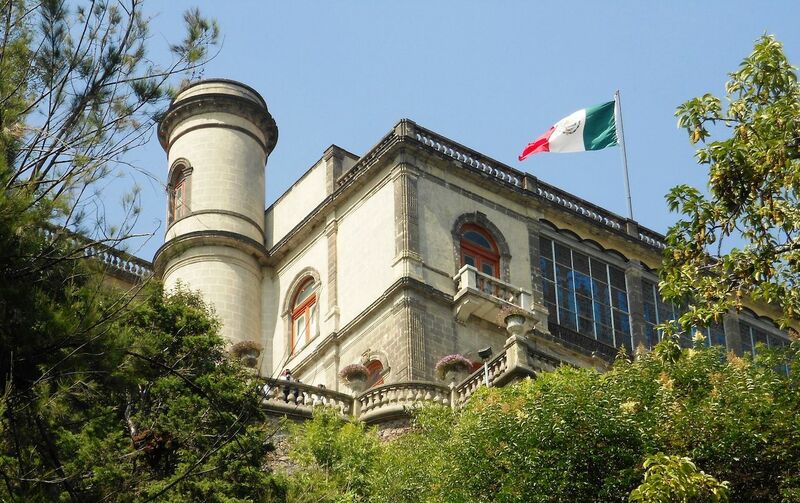 Chapultepec Castle — This imposing 18th-century construction is located at the top of the Chapultepec Hill in Bosque de Chapultepec, a large forest smack dab in the middle of Mexico City. Chapultepec Castle was initially built as a lavish residence for Spanish royalty but now functions as the National Museum of History. Arrive here early to avoid the crowds and wander through the many grand rooms at your leisure. There’s a small train that transports visitors from the bottom of the hill all the way up to the castle, but the hike is nice and doesn’t take more than 15 minutes. Don’t forget your camera, as this place has an amazing view of Paseo de la Reforma, CDMX’s most iconic avenue, and the Chapultepec forest. 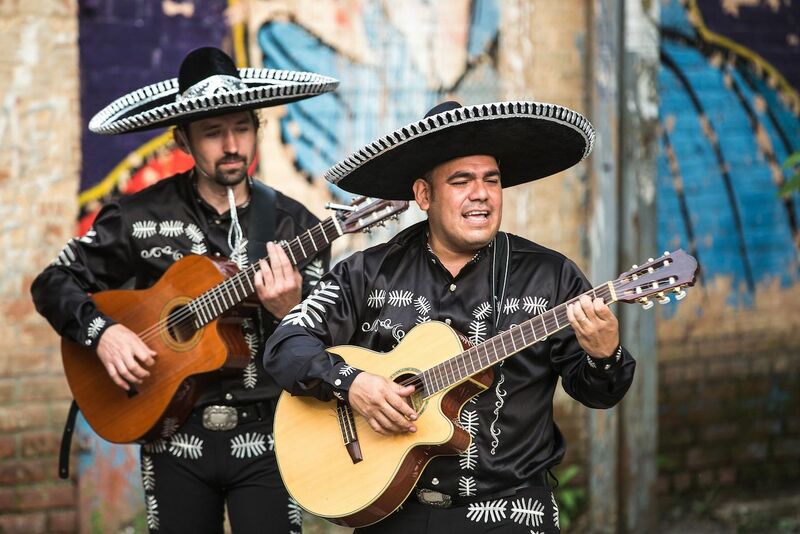 Garibaldi Plaza — Traditional Mexican music comes in many different forms, but mariachi is clearly its most recognizable expression, and Garibaldi is the mariachi headquarters of Mexico City. Pick one of the many traditional cantinas surrounding the plaza and enjoy an evening of delicious food, tequila, and live music. We suggest you hit Salón Tenampa for an evening to remember. National Museum of Anthropology — If you have time to visit just one museum in Mexico City, make it this one. The highlight of Museo Nacional de Antropología is the Sala Mexica, a room displaying incredible Aztec findings, including the impressive calendar stone. This can be a full-day experience, so you’d better come here with a clear schedule. If you’re in a rush, favor the main floor before heading upstairs. National Palace — Palacio Nacional is the seat of the Mexican government (the flag floating atop of it will tip you off), and is one of the most impressive buildings in CDMX, but it’s inside where you’ll find the good stuff, like the murals painted by Diego Rivera. The murals retrace the history of the country and were painted between 1929 and 1951. If muralism is your jam and you want to see more examples of it, head to the Museo Mural Diego Rivera located just beside Alameda Central Park, just a 20-minute walk from the National Palace. 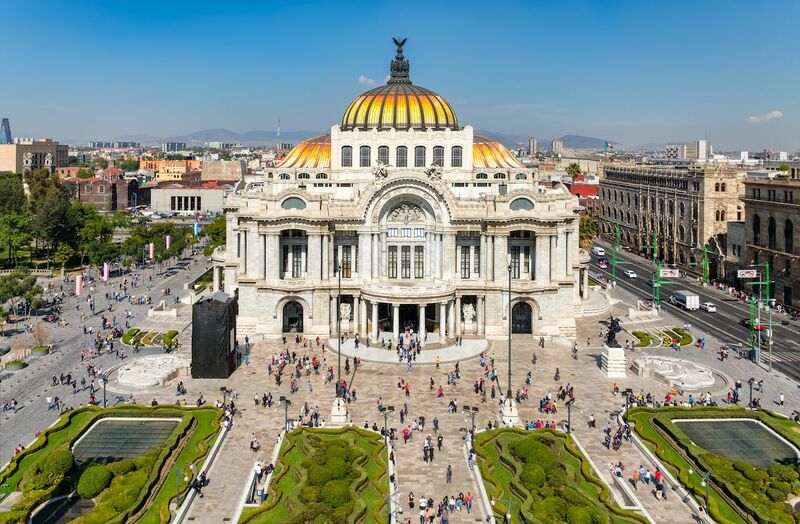 Palace of Fine Arts — Palacio de Bellas Artes is a beautiful piece of architecture and one of the most recognizable landmarks in Mexico. The main hall is decorated with pieces from the most famous Mexican muralists and its museum always hosts world-famous art exhibitions. Try to get some tickets for the amazing Ballet Folklórico de México — it’s a sight to behold and there are shows every single month. Metropolitan Cathedral — A mammoth church and an impressive example of colonial architecture, the Catedral Metropolitana is the result of 240 years of construction that started in the middle of the 16th century. There are tours that let you visit the bell towers from where you’ll get an impressive view of Centro Histórico. Templo Mayor ruins and museum — The ruins of Tenochtitlan, the capital of the old Aztec empire, lie beneath Centro Histórico, and Templo Mayor is the main structure that was unearthed by archaeologists in the 1970s. 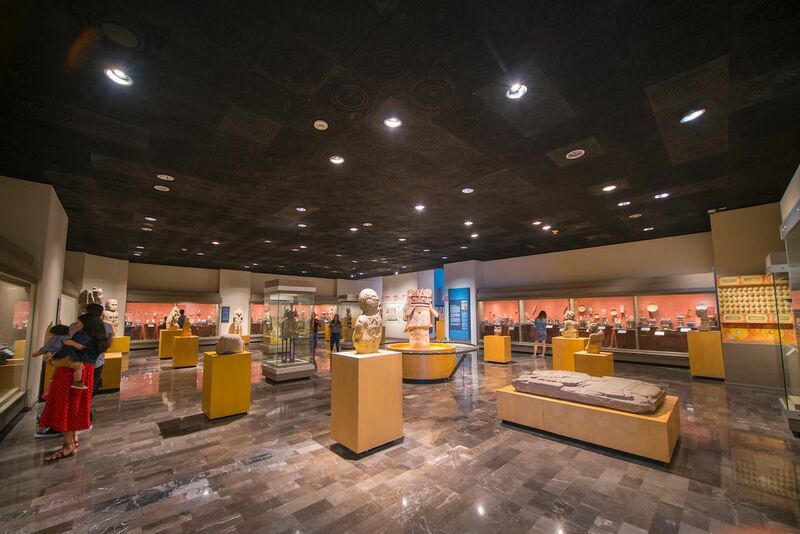 After visiting the archaeological site, head next door to the museum, where most of the pre-Columbian pieces recovered from the area are on display. Ciudad Universitaria — The main campus of UNAM, the National University of Mexico and the country’s most prestigious, became a UNESCO World Heritage Site in 2007 for being “a unique example of 20th-century modernism integrating urbanism, architecture, engineering, landscape design, and fine arts with references to local traditions, especially to Mexico’s pre-Hispanic past.” The coolest building on campus is Biblioteca Central (the main library), covered in small, colorful volcanic tiles — be sure not to miss it. 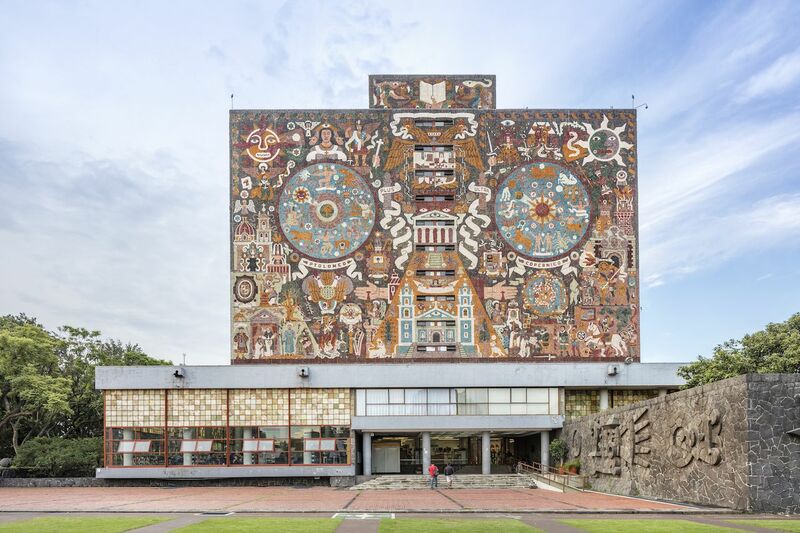 You can easily spend a whole day hanging around the campus and never run out of things to do; both the University Museum of Contemporary Art (MUAC) and the Sciences and Arts University Museum (MUCA) are excellent for those wanting to learn more about Mexican art. Monument to the Revolution — This gigantic monument topped with a dome is a war memorial to the Mexican Revolution of 1910. It stands in the middle of Plaza de la República, just a few blocks away from Centro Histórico. Underneath, there’s an underground museum dedicated to the Mexican Revolution, or you can head up to the top of the monument in a glass elevator that provides one of the best views of the city. 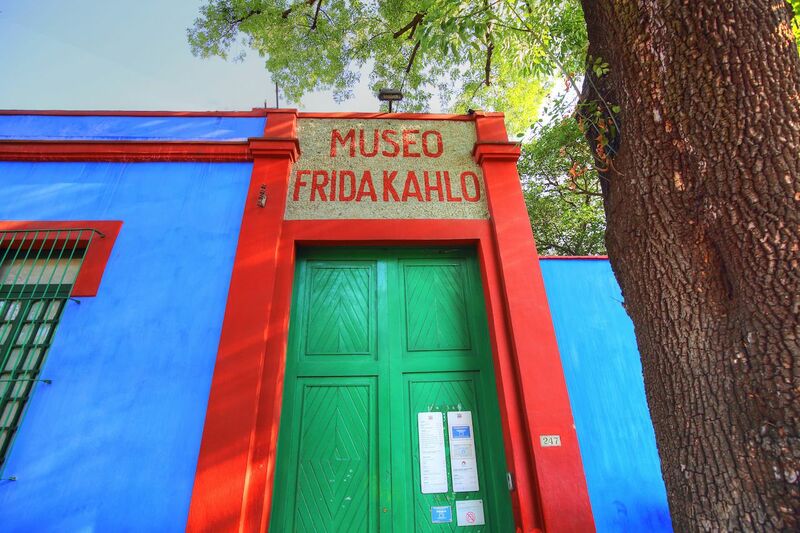 Frida Kahlo Museum — La Casa Azul is world-famous Mexican artist Frida Kahlo’s home turned into a museum. This traditional home painted in a beautiful cobalt blue in the middle of Coyoacán offers a window into the everyday life of artists and couple Frida Kahlo and Diego Rivera, as well as a beautiful display of traditional Mexican clothing and jewelry. The house is one of the biggest attractions in the city, so get your tickets in advance and try to visit on a weekday. Your ticket also includes an entrance to Anahuacalli, Diego Rivera’s own collection of pre-Columbian art and artifacts, which is underrated but totally worth checking out. 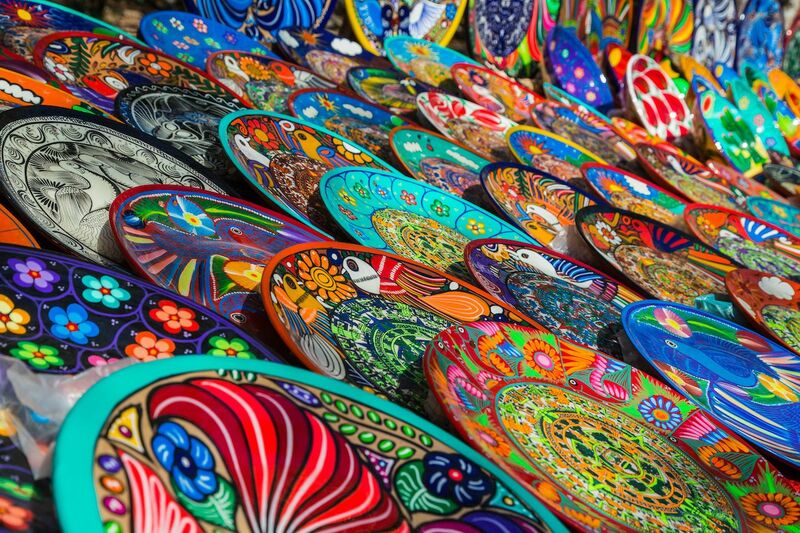 If you want to get your hands on some original handicrafts from all around Mexico, head to La Ciudadela. This market is located in Centro, just outside the Balderas subway station, and offers the best variety of handicrafts, including traditional clothing, for a great value. If you’re looking for original art pieces visit, Bazar del Sábado in San Ángel. Keep in mind this market is only open on Saturdays. For those interested in contemporary Mexican design, The Shops at Downtown is a collection of over 20 boutiques with fair trade products from all over Mexico. Here you’ll find clothing, accessories, food, and art pieces produced by local artisans and designers. The Shops at Downtown is located inside the Downtown hotel, just a couple blocks away from Zócalo. 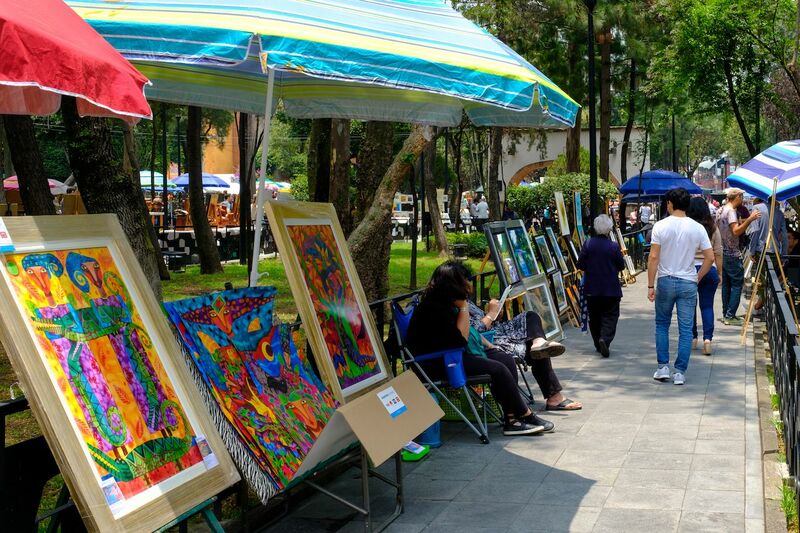 For a quirky souvenir, visit one of the city’s traditional tianguis. These itinerant street markets are the places where local people get their weekly groceries, but they’re also flea markets. Some tianguis worth checking out are El Oro in Roma (on Saturdays), El Chopo in Buenavista (on Saturdays, also known as CDMX’s punk rock market), and La Lagunilla near Centro (on Sundays, has a little bit of everything plus an amazing antiques section).